Events over the past year have given us a huge wake-up call about the effects of mindless mass consumption on people and planet. Buying less and choosing carefully goes a long way, and the tradition of giving gifts over the festive season can be an amazing opportunity to use the power of our festive £££s to do some good. This list is here to help you do just that. As we’ve explored the world of ethical and sustainable fashion over the past year, we’ve also come across a huge number of brands both inside and outside the fashion world doing their bit to make the world a better, brighter, less wasteful, more beautiful place. We’re so excited to share some of them with you here! Each one of the suggestions on this list was chosen to help grown-ups and tiny humans connect with nature and each other, reduce waste, get creative, support ethical and sustainable brands and inspire ideas for positive change. We think there’s something for everyone (young and old!) and we’ve tried to cover a wide range of categories including food and drink, homeware, clothes, jewellery, accessories, art, toiletries, books, gardening and more. Of course, giving gifts doesn’t have to involve spending money or buying more ‘stuff’, so we’ve also got some ideas on how to do something a bit different this year (scroll right down to the bottom if you’d like to get started with these first). Let’s use our time, imagination and money to give good gifts this Christmas. ’Wear a pair, share a pair’. For every pair of Jollie Socks bought, one pair is given away to a homeless shelter to help support those living in tough conditions. 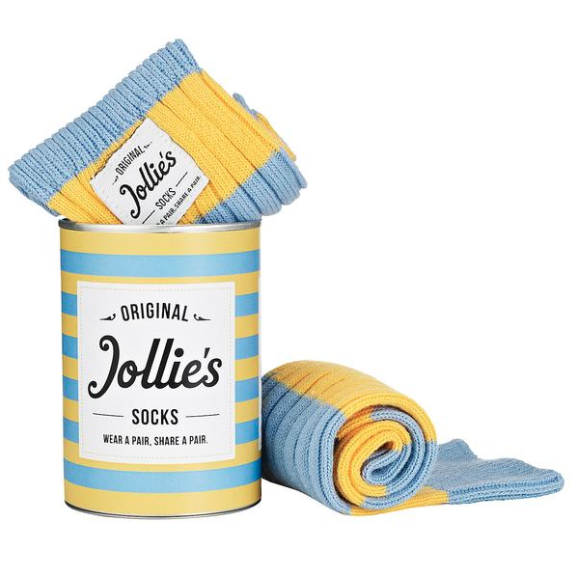 Jollie Socks have connected with several charities that focus on long-term support of their homeless clients into creating independent and sustainable futures, and they’ve chosen to donate to projects all over Britain to give customers an opportunity to support causes in their local area. Buy a single pair, build a custom box or set up a subscription here. 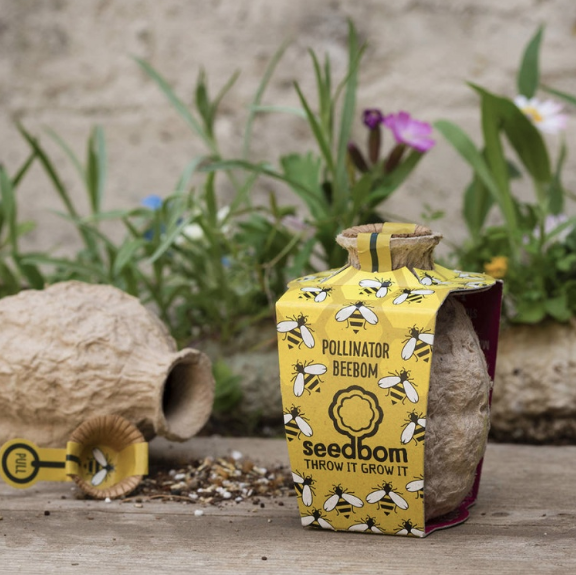 Created in Scotland, Seedboms from Kabloom are (100% biodegradable) packages packed with peat-free compost and wildflower or herb seeds designed to split open on impact with the ground (no gardening skills required!). Get involved with some guerilla gardening and bring some splashes of life and colour to neglected spaces. Want to find a way for people to put down their phones and engage with others round the dinner table? These 100 Questions card sets from the School of Life are designed to help us have more meaningful conversations. We all know single-use coffee cups = bad for the planet, but did you know that the way some reusable cups are made isn’t so great for the environment either? (Argh!) Thankfully they’re not all bad; Ecoffee Cup is made with environmental sustainability in mind from start to finish. Each cup is made from sustainably-sourced bamboo and is fully biodegradable and (even the non-drip silicone lid can be recycled). Pela are committed to ‘making everyday products without everyday waste’. 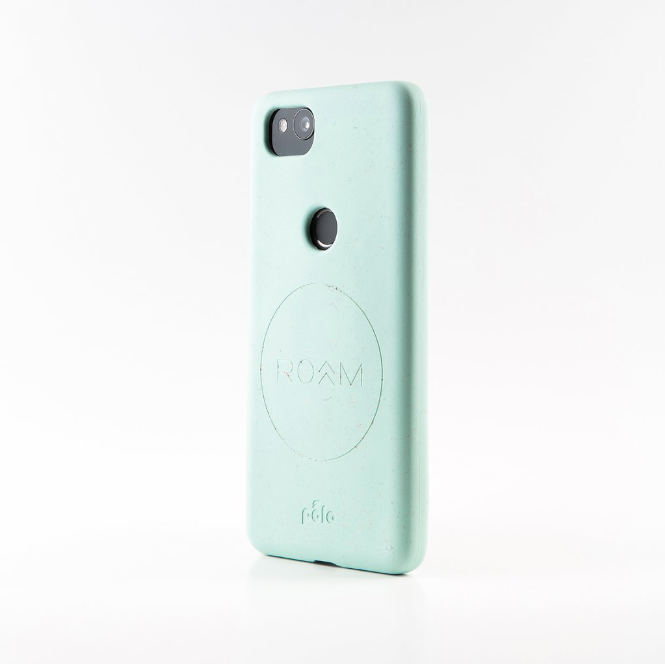 These 100% compostable plastic-free phone cases are made from an innovative material called ‘flaxstic’ using low-impact manufacturing. The cases fit Android and iPhone models and there’s something to suit everyone with a range of colours available. ”The importance of good beard care cannot be stressed enough”…so say the people at Urban Beard, a company specialising in products that keep facial fuzz looking slick. Although they’re based in Canada, the call of their European beard-fellows has been answered and they now ship to several countries including the UK. Choose from beard shampoo, conditioner, oil, wax, and the enticingly-named beard butter, all made with certified organic, vegan friendly ingredients. 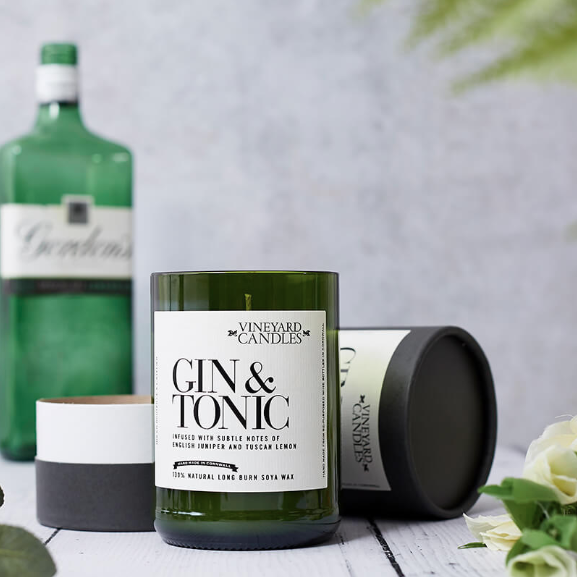 This family-run business based in Cornwall produces luxury candles using natural soy long-burn wax poured into glassware made from re-purposed wine and champagne bottles. Just Trade works with eight groups of artisans in Peru, Ecuador, India and Vietnam to create striking handmade jewellery and accessories using an innovative and collaborative approach. This brand has built long-standing relationships with the artisans they work with, providing stable employment, personal development and a sustainable source of income. Shop the whole big and beautiful range here. For more earrings, necklaces and bracelets take a look at Daughters of the Ganges; a brand that prides itself on providing dignified work and fair wages to talented artisans in India. This brand uses local Peruvian silver (some of which is recycled) to create their simple and elegant collections (all inspired by food! Yum). 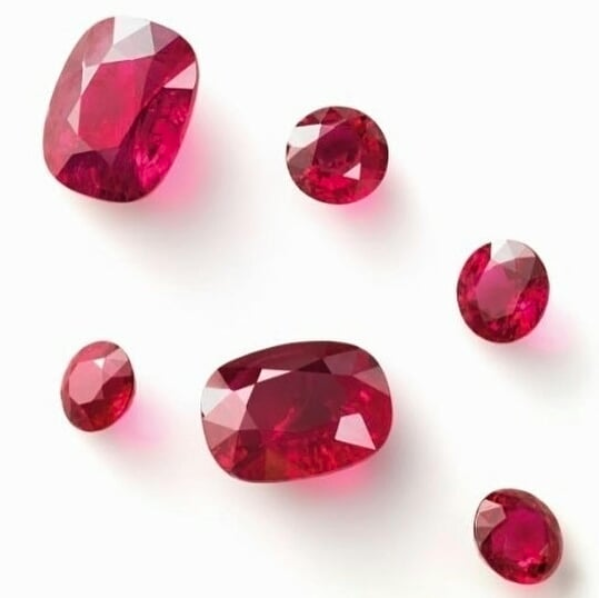 They work with a well-established jewellery producer in Peru that provides stable employment and training to 350 people. For every item sold, Little By Little funds 3 days’ supply of therapeutic food to nurse an acutely malnourished child back to health by partnering with Action Against Hunger. If you’re looking for something extra special, Cred Jewellery and Ingle & Rhode have all your ethical-conflict-free-diamond-bling needs covered. Find repurposed vintage frames combined with modern lenses for both sunglasses and prescription glasses. Create your own signature style using customised lenses and tints, join the slow, sustainable vintage-chic movement and breathe a little easier while you’re at it - a tree is planted for every purchase made. Elvis & Kresse uses rescued raw materials to produce high quality bags, purses, wallets and other accessories for men and women. They’ve recently set up a 5 year partnership with the Burberry Foundation to transform over 120 tonnes of off-cuts (that would otherwise end up on the scrapheap) into luxury leather goods. 50% of all profits are donated back to different charities and they even use reclaimed teasacks for packaging. Aura Que works closely with small producer groups operating under Fair Trade principles. This brand invests in the development of its workers and makes use of local materials and traditional craftsmanship skills to create a wide range of different products including bags. scarves, stationary, ceramics and home-wear, purses and wallets, all ethically handmade in Nepal. Arthur & Henry make Fairtrade organic cotton shirts in a range of colours and prints, Riz Boardshorts take a ‘sartorial and sustainable approach to swimwear’, Rapanui is the place to go for t-shirts, sweaters and hoodies, Y.O.U. 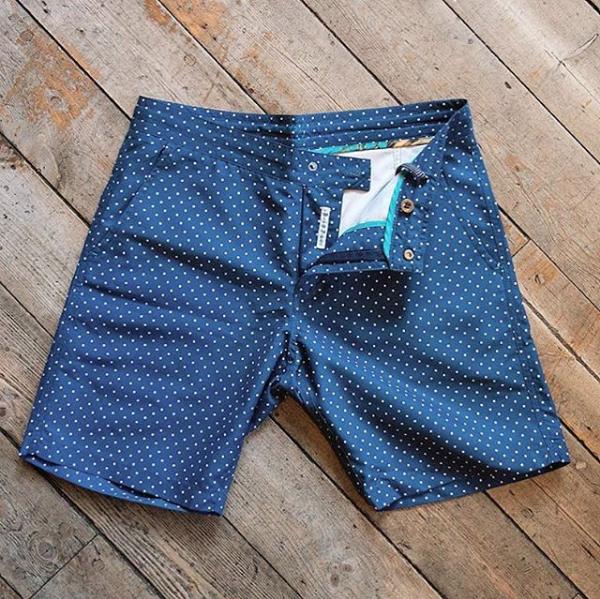 underwear has got Fairtrade boxers covered and Brothers We Stand has more ideas for brilliant ethical brands for men. Cosy up in alpaca-powered knitwear from Ted and Bessie, find beautiful handmade undies from Lara Intimates, get moving in sustainable activewear from Asquith London, Ruby Moon or Deakin & Blue and find 30+ ethical, transparent brands at Know the Origin. If you’re after shoes, ethical brands Po-Zu and Veja offer sustainable and vegan-friendly footwear for men and women. Little Green Radicals and Tommy & Lottie both sell gorgeous clothes with unisex designs for babies and children and Cooee Kids uses sustainable cotton from Uganda to create their fun range of clothing for kids from 2 - 7 years old. Voted as one of the top ethical tea producers by Ethical Consumer, Hampstead Tea has a range of delicious teas all produced ethically in India. Chocolate heaven! As well as dark chocolate, milk chocolate and white chocolate bars Cocoa Loco make ‘exquisite truffles, big fat milk, dark and white chocolate buttons, intensely rich and dark chocolate brownies, nutty flapjacks, cookies and so much more.’ Everything is handmade, Fairtrade, organic and delicious (and there’s vegan-friendly options too). These guys were green before being green was a thing. Seed and Bean pride themselves on creating ethical, sustainable Fairtrade chocolate using organic ingredients. Their delicious (vegan-friendly) chocolate comes in a tempting array of flavours including dark chocolate with coconut and raspberry and milk chocolate flavoured with Cornish sea salt and lime. Every bar is wrapped up 100% recyclable packaging right down to the inner foil (made out of flexible cellulose film) which can be popped straight into the garden compost. What’s not to love? These boxes are ideal for anyone who wants to embark on a journey towards zero-waste and discover products, ideas and inspiration for creating more mindful habits. Each box is thoughtfully curated with useful, eco-friendly items sourced from ethical businesses in the UK, and they’re vegan friendly too (just tick this option when you sign up). Choose from a one-off ‘mysterious gift parcel’, bespoke gifts or subscribe for 1 month or more. Want to find a way to help children connect with nature? These lovely little packages from Mud and Bloom will help kids from 3 - 8 years old explore the natural world by having fun growing their own fruit, vegetable and plants and creating crafts inspired by the seasons. All the necessary materials for each activity are contained within the box, so there’s no need for gardening tools (or a garden!) Choose a single box or set up a subscription to have one delivered at the beginning of each month - they’ve even got a ‘Sibling Box’ which contains enough materials for two little ones to use. Know anyone who likes getting creative? The Art Tiffin is box designed to help both children and adults discover the life-giving benefits of art and creativity. Each box contains at least 6 hand-selected vegan products that are ethically produced to help nourish and encourage the artist within. 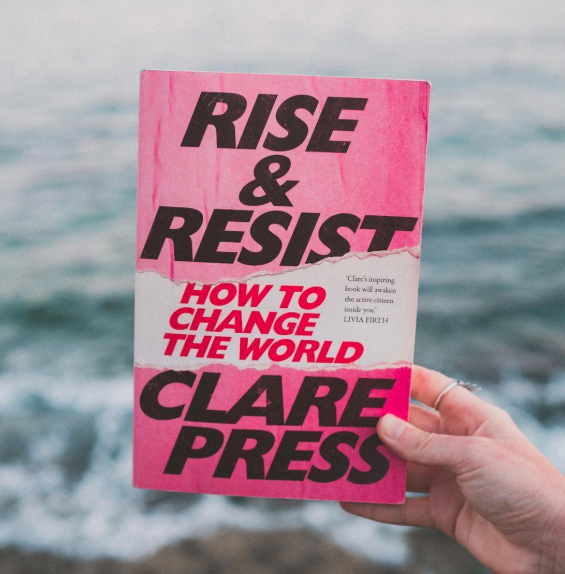 This book is packed full of stories about people across the globe who are forming a revolutionary counterculture; taking action in a multitude of ways to “rethink how we live today to build a more sustainable tomorrow.” An uplifting read that will ignite or reinforce a belief in the power of the positive. If you’d like to help your little ones get to grips with the big issue of ocean plastic pollution, these books (available in English and Welsh) offer a gentle and engaging way of helping children to understand more, as well as suggesting actions we can all take to help save our seas. Children are great at asking questions, but we’re not always great at helping them to develop their natural sense of curiosity and wonder. This book is designed to harness children’s natural instinct to question and develop it by introducing them to some of the biggest philosophical ideas from history. Grow (or buy) some herbs or flowers, stick them in a pot (second-hand or new, like these gorgeous pots from Nkuku), wrap a bow round the middle, et voila: a greener gift that will brighten up any home or workspace. .
Sew, draw, paint, craft, bake, cook, get down to the tool shed, whatevs. If you’ve got a particular skill and a friend who’d like to learn, your gift could be to teach them how it’s done and make something together. These kinds of gifts are really special because of the amount of time that’s poured into them. If you’re rubbish at making stuff but still want to create something special, The Clothes Doctor and Tinbox Angel can transform old items of clothing into something unique. Think: out-grown children’s outfits being turned into memory quilts, bags or cushion covers. Planning events and experiences is a great way to extend the festive excitement far beyond Christmas. Plan a picnic, be a tourist for a day, go to a show, learn a new skill, cook a meal, offer to babysit, take a friend for a coffee in their favourite cafe, book afternoon tea, watch a movie, go camping, glamping or hiking, get behind the wheel for a spontaneous road trip…anything goes! If you really, really like the person you’re giving to, you could even organise one fun thing to do every month until next Christmas. Spend some time thinking about the person you’re giving to and what they’d really like, and then get planning. And finally…if you’re a parent looking for a way to avoid stacks of well-intentioned but unwanted presents for your kids, Gift Time for Kids is a great way for friends and relatives to contribute to an experience instead of more ‘stuff’. So there you have it! If you’ve found this list helpful, please feel free to share it with your friends and spread the ethical-and-sustainable love. We’re sharing even more ideas throughout December over on our Instagram feed.